When Marie Morisot, a notorious money-lender is found murdered on a plane, practically every other person on board is tagged with a motive that makes him or her suspicion till the final dramatic moment....could it be the unknown daughter posing as someone else? the embezzling Englishman? perhaps the archaeologist who seems to be forging antiquities? Luckily, or unluckily for the murderer, Hercule Poirot was also on that flight, and he doesn't take kindly to murder happening under his very nose! So, reading back, I see I've been rambling, but I can't make my meaning any clearer. 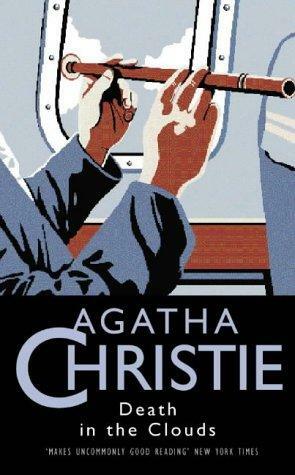 Perhaps, reading more Christie will help me to put my finger on it! All in all, not one of my favorites.